In Starbreeze Studios’ Brothers: A Tale of Two Sons, that saying is taken literally, as the titular siblings do, indeed, share one mind – that of the player. Brothers takes place in a rich fantasy world seemingly straight out of a old-school Disney flick. In their poor provincial town, two brothers – known only as Older and Younger – live and work with their father, who suddenly takes ill. Still recovering from the untimely passing of their mother, the brothers must find a cure to save the patriarch, which lies far, far beyond the boundaries of their sleepy village and on the other side of a dangerous and harrowing adventure. Cue the epic musical number. Brothers can best be described as a single-player co-op adventure game. That might sound contradictory, but it isn’t; in order to make their way to the end of the adventure, players must control the two brothers simultaneously and independently of one another to successfully complete tasks and puzzles. Each brother is assigned to one control stick and trigger (Older on the left, Younger on the right), with the player controlling them in tandem. This unique control scheme is both the game’s greatest strength and its primary source of frustration. By putting the player in control of two characters and forcing them to work together simultaneously, Brothers creates some truly inspired puzzles and situations. No obstacle or hurdle can be overcome with one brother alone; some puzzles make it obvious how the siblings are to work in tandem – the lever has two spots where it can be pushed or pulled, or there are two switches on either side of a door. However, many others require some honest-to-goodness thinking in order to figure out how both characters factor into a solution – Younger Brother’s the only one small enough to fit through the bars to get to the hanging lever that clears the puzzle, but he’s too small to pull it down by himself, so once he’s dangling from the lever Older Brother has to go around the other side and pull him down by his feet. It’s never ragequit, throw-your-controller-at-the-TV-and-walk-away taxing, but it is consistently clever puzzle design, and the tandem-bicycle gameplay is at the center of every aspect of the game – including a couple of inspired if brief boss battles that require the brothers to work together to topple an enemy in truly creative ways. As mentioned, this mechanic can lead to some pretty frustrating moments – but they’re almost always relegated to user error instead of any inherent flaw in the gameplay. Gamers are naturally most accustomed to controlling characters in a certain way, and only one at a time at that. It’s easy to get the brothers mixed up and control them using the wrong stick (like when Younger Brother ends up on the left side of Older) or become so focused on what one brother is doing that you forget the other brother’s doing something just as important, let go of the trigger by accident, and either have to start the puzzle over again or send the siblings to their doom. For example, during one extended sequence in which the brothers are literally bound together, the siblings must rely on each other to traverse an enormous tower – say, one holds onto a ledge while the other swings to a higher ledge and so on. Focusing on the swinging brother, I often forgot that I needed to hold the others’ trigger to keep him firmly attached to the ledge, sending the two plummeting into the rocks below several times. Let me stress that this is not a fault with the game – it’s totally a user error issue. After decades of gaming, my brain is wired to approach games a certain kind of way, and Brothers is, among other things, an exercise in tearing down those concepts and building them back up in a different way. The game plays by its own rules 100 percent of the time, but I often found myself reverting to the standards of other games, almost always to my detriment. This is a game that demands your attention at every moment, right down to the very act of playing it. However, Brothers has a lot going for it beyond the virtue of its unique gameplay style; the thing that pushes it into the stratosphere of “must play” status is the overall art direction and presentation of the game, which is, in a word, absolutely gorgeous. Brothers looks like something straight out of a fairy tale. Sometimes it’s more along the lines of a squeaky-clean Disney fairy tale – the picturesque village filled with friendly villagers or the adorable bird-lion hybrid who gets you through a particularly perilous part of your journey. It really is an adorable sight, which makes it all the more unnerving that other parts of the game are straight out of Grimm – say, an extended sequence in which the brothers travel through the aftermath of an enormous battle between literal giants, maneuvering around enormous fresh corpses and trudging through water literally running red with blood. The art style also translates well into storytelling. Characters in Brothers don’t speak – at least not any recognizable language – so the narrative heavy lifting is accomplished almost entirely by visuals. Trigger-actions do a lot to develop the kinds of youngsters the two brothers are; Older Brother’s interactions with NPCs and the environment are normally fairly mellow, with him either questioning people about the quest or lending a hand where he can. Younger, on the other hand, is more of a mischievous little monster – he’s more likely to muss up the hay you’ve been raking rather than help out. This can lead to some truly inspired and powerful moments – take, for example, a moment about midway through the game in which Younger Brother finds himself knocked unconscious. Briefly taking control of Younger in his psyche, players get a sense of precisely how large the boys’ late mother looms in his mind and how he thinks his older brother must feel about him. It’s powerful stuff done almost entirely without words, and the game is all the better for it. Brothers: A Tale of Two Sons is a hell of a way to kick off what’s likely the last Summer of Arcade on the Xbox 360, and it’s a game that deserves to be counted among previous major SoA offerings like Limbo and Bastion. At 1200 MSP, it’s not a terribly lengthy adventure – odds are most will finish it within three to five hours – but any worry about the relatively short gameplay time is more than made up for by the utterly unique gameplay and the charming yet disturbing art direction. Brothers is a game that knows exactly what it wants to accomplish and does it without overstaying its welcome. It’s absolutely worth your time and deserves your attention. 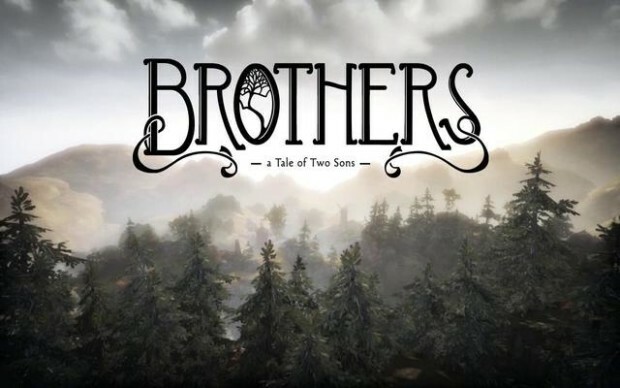 Brothers: A Tale of Two Sons was developed by Starbreeze Studios and published by 505 Games. Currently available on Xbox 360, it releases Aug. 28 on Steam and Sept. 3 for PlayStation 3.